Global Creatures confirmed today that Baz Luhrmann’s much-loved hit show Strictly Ballroom The Musical will open in Brisbane at the Lyric Theatre, Queensland Performing Arts Centre (QPAC) in September 2015. Strictly Ballroom The Musical had its global Premiere on Saturday 12 April at the Sydney Lyric Theatre, The Star and is currently playing at Her Majesty’s Theatre, Melbourne. This new production is staged by the original creative team behind the classic 1992 film, including director and co-writer Baz Luhrmann, set and costume designer Catherine Martin, choreographer John “Cha Cha” O’Connell and co-writer Craig Pearce. Strictly Ballroom The Musical is the inspiring story of a championship ballroom dancer who defies all the rules to follow his heart. This uplifting and courageous tale originated as a stage play that Baz Luhrmann devised with a group of students at the National Institute of Dramatic Art (NIDA) back in 1984. “From a small student play to my first motion picture and now a full-blown theatrical stage musical, Strictly Ballroom has been an almost thirty year journey for me. I have often marvelled at how this story, born so long ago, has been in my life for so many years and has managed to touch, move, entertain and uplift so many different people from so many different backgrounds. “I think the simple truth is that, despite all the sequins, outrageous hairdos and classic Hollywood musical plotting, the simple message that ‘there isn’t only one way to cha cha cha’ and that ‘within us all we have the true potential to dance through life with our own steps’, is something that appeals to all of us. The message that life doesn’t have to be strictly ballroom is something I hope our audiences will carry with them as they dance down the aisles,” said Director, Baz Luhrmann. Carmen Pavlovic, CEO, Global Creatures said “It’s a proud and thrilling collaboration for Global Creatures to be in partnership with Baz Luhrmann and Catherine Martin. This musical production has been conceived with the community in mind and the decision to premiere the show in Australia was born out of a desire to bring Strictly Ballroom full circle to where it all began. Strictly Ballroom has a rich history; the first performance of the stage production was in 1984, before Baz Luhrmann was invited to re-stage the play for the Czechoslovakian World Youth Drama Festival in Bratislava in 1986 where it won best production and Luhrmann best director. After a preview season at the Brisbane Expo in 1988, the play then opened at the Wharf Studios in Sydney. Strictly Ballroom then went on to become one of the most successful Australian films of all time, earning more than $80 million at the box office. Discovered at the Cannes Film Festival, it was winner of the Prix de Jeunnesse and runner up for the Palme D’Or. When released in Australia, Strictly Ballroom swept the field at the 1992 Australian Film Institute (AFI) Awards, gaining 13 nominations and winning in eight major categories. It was also a major success at the 1993 BAFTA awards, where it garnered eight nominations and won three awards for Best Costume Design, Best Original Film Score and Best Production Design. Other accolades included a 1994 Golden Globe nomination for Best Picture, Newcomer of the Year at the 1993 London Critics Circle Film Awards, the People’s Choice at the 1992 Toronto International Film Festival and Most Popular Film at the Vancouver International Film Festival. With the success of the film, its closing song, a remake of the John Paul Young song Love is in the Air, re-entered the Australian charts and became a Top 5 hit in October 1992. Don’t miss out on seeing on one of the greatest Australian stories ever told live on stage at QPAC, tickets for Strictly Ballroom The Musical will go on sale on Monday 2 March 2015 via www.qpac.com.au or by calling 136 246. 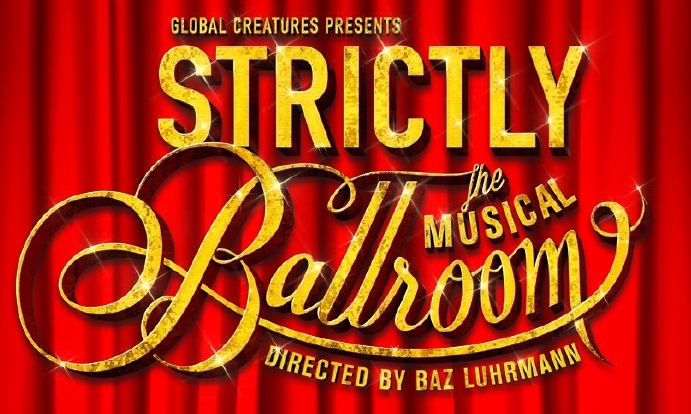 Strictly Ballroom The Musical is produced in Australia by Global Creatures and Bazmark. Strictly Ballroom The Musical acknowledges the support of our key partners including Official Airline partner Virgin Australia and Major Partner Bonds.